Don Rickles died today, leaving behind a comic and acting legacy covering the better part of the last century. 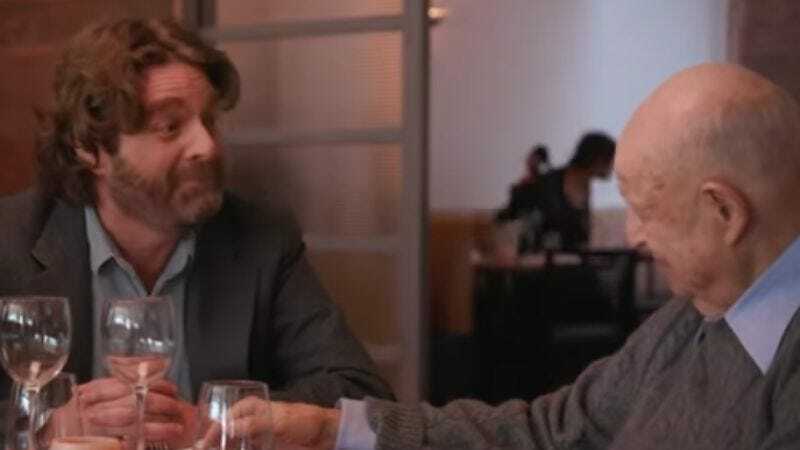 Now, AARP Studios has released some footage from Rickles’ final TV show, Dinner With Don. The show sees famous actors and comedians—including Zach Galifianakis, Amy Poehler, Sarah Silverman, and more—sit down with Rickles for a blend of conversation, wisdom, and insults. Per Deadline, all 10 episodes of the show have apparently been completed, although no network has been attached. Other guests on the series include Billy Crystal, Robert De Niro, Jimmy Kimmel, Vince Vaughn, Paul Rudd, Marisa Tomei and Martin Scorsese, at least a few of which, we have to assume, got called a hockey puck some time during filming.